Budget airlines like Ryanair have helped make travel accessible for everyone. The option to buy a flight for £20 has opened up a world of opportunity and made it so everyone, not just 20- somethings on a gap year, are able to get away, relax and experience new cultures. These airlines are especially great for people in the U.K and Europe because flights, if booked in advance, can be ridiculously cheap so you could visit Germany for less money than you’d spending taking the train to Manchester! Having said that, there are some downsides to budget airlines. The prices are low because there are no extras included and so things like meals, checked luggage, choosing your seat etc. will all cost extra. This doesn’t have to be an issue, but it is a good idea to make sure you know what the luggage restrictions are and whether or not you will have to pay for your bags. Read on to find out more about what luggage can be taken on a Ryanair flight! Budget airlines like Ryanair charge for checked luggage, but you can get around this extra fee by ensuring you only take carry-on items. However, it can be easy to get caught out so it’s important you know what the restrictions for carry-on luggage are. Ryanair allows you to carry one small bag, such as a handbag, onto the plane. This bag must not exceed 35 cm x 20 cm x 20 cm. Ryanair also allows one carry-on cabin bag. 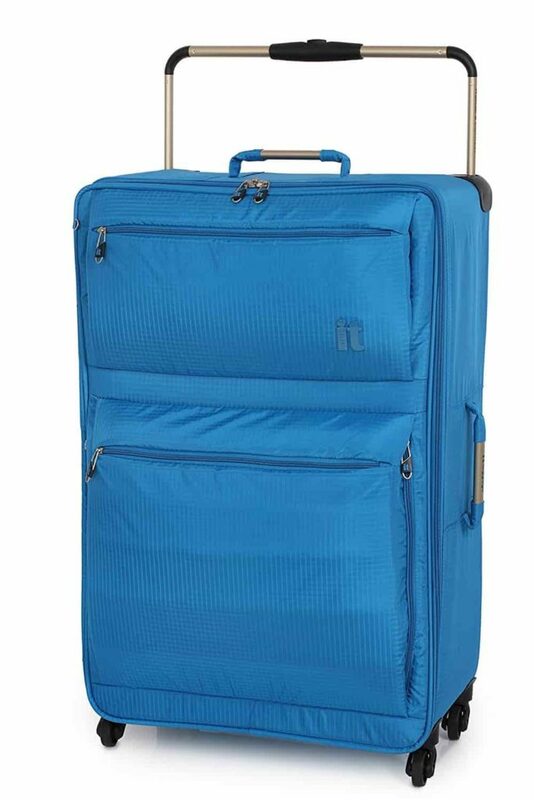 This bag must weight 10kg or less and it cannot exceed 55cm x 40cm x20cm. It is perfectly possible to travel for a week or so with a bag which follows these restrictions, but you have to make sure your bag is within the weight and height restrictions as oversized baggage can cost around £50 or be refused at the gate. Ryanair can only fit 90 large cabin bags on the plane per flight, but other bags will be stored in the checked section for free. Ryanair charges for checked luggage. If you have to check your suitcase or backpack then you should add the luggage whilst you are booking your flight or via the ‘My Booking’ option which can be accessed up to 2 hours before departure. If you wait to pay at the airport you will be charged more. Passengers are allowed 3 checked bags. You can choose to purchase either a 15kg bag allowance or a 20kg bag allowance when you add your luggage to your flight order. If you have overweight luggage you will be charged an additional fee of £10. You can carry some sporting and musical equipment onto the flight if the items weigh less than 20kg. Items which weigh more will be subject to additional fees. Smaller items like a violin, a wedding dress, a large hat etc. which are too large for the carry-on restrictions can be taken onto the plane if you buy a seat for them. To book a seat for an item you can enter ‘Item Seat’ as the last name and ‘Extra’ as the first name when booking them their ticket. The additional seat for your item will not get additional baggage allowances. E-cigarettes are allowed on the plane (in the carry-on luggage) but cannot be used on the plane. Ryanair does not allow you to add valuables like money, jewellery, cameras, computers, phones, business documents or passports in the checked baggage. You also cannot carry tobacco, cigarettes or electronic cigarettes in your checked luggage. You will need to add your name and/or personal identification on the checked bag. Animals are not allowed on Ryanair flights except for guide dogs on some routes.